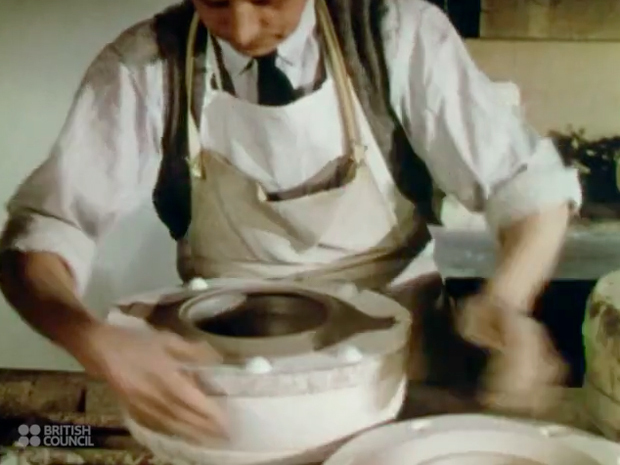 This short film really made my morning, it’s been released by the British Council and features a factory tour of Wedgwood in 1941 with some rather amusing commentary throughout. We’re taken back to an age where almost everything was crafted by hand with an eye for detail, this production line prided itself on some of the finest craftsmanship in the world. So seeing these items being put together in the video below it’s no surprise that their earlier creations are so sought after today. I love the fact that the film has been put together with a factory tour and documentation of the creative process in unison. This gives you an overall feeling of how the place would be operating on a daily basis and highlights the skill set of the workers at the same time. It really astounds me how they made every object so uniform and symmetrical to the previous one, the experience they must have had amongst their ranks to achieve this level of perfection is quite incredible. I guess this is a bit of a nostalgic post but I couldn’t help but watch this over and think that we’re missing something by handing the majority of production over to machines. I’ve grown up in the digital age so perhaps I’m more fascinated by what came before, but film’s like these are a reminder to appreciate the skill of craftsmanship, I’d hate to think we could lose skills like this as time goes by. I know this is a bit of a dated piece but I’m sure many of you will enjoy the skill and quirkiness that the narrator brings to the film. I have to say I laughed a few times throughout and was wowed by the sheer scale of work that Wedgwood completed on a daily basis in the 1940’s. If you’d like to learn more about the work of Wedgwood I’d recommend heading across to their page where there’s ample information about their earlier work, as well as that which they undertake still today.